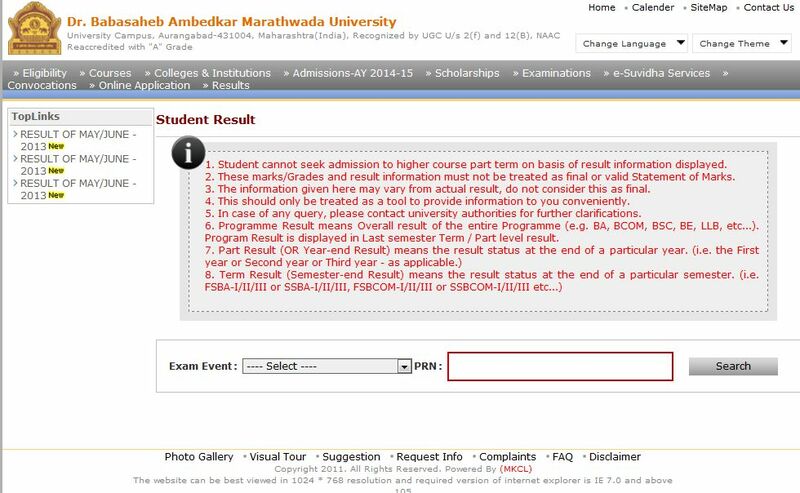 Will you tell me how I can get result of the BSc course examination of the Dr. Babasaheb Ambedkar Marathwada University ? As you want I am here telling you process to get result of the BSc course examination of the Dr. Babasaheb Ambedkar Marathwada University. 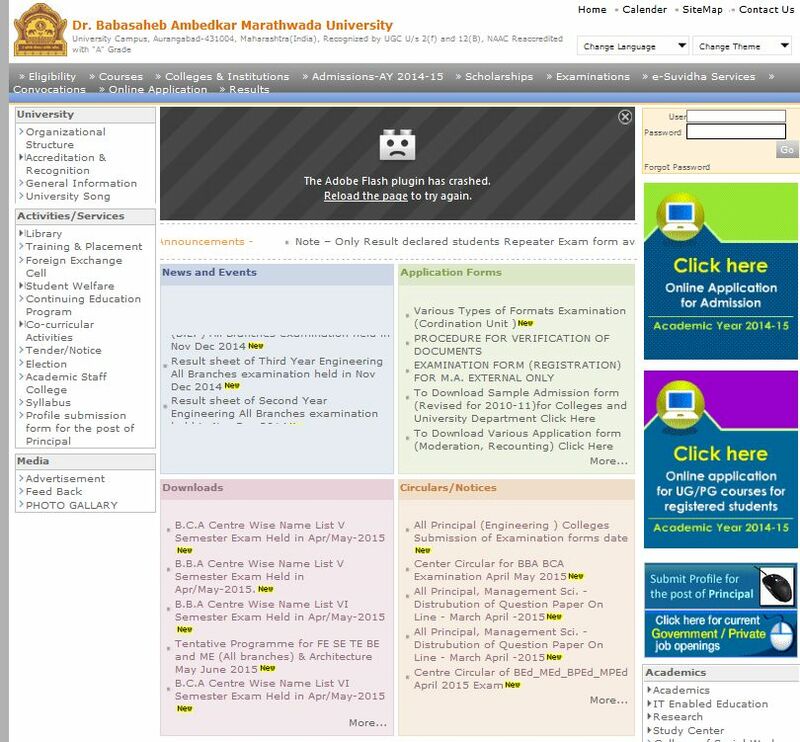 Visit official website of the Dr. Babasaheb Ambedkar Marathwada University. At this page you get result link click on that link. here you have to select exam event and enter your PRN no. and click on search to get result.